Are you in the beginnings of a new relationship and looking for ways to get to know better this guy you’ve just started seeing? You don’t want to waste your time on someone who isn’t compatible with you and you want to know if this is the man you can see yourself next to from the start. But you don’t want to appear to be too pushy or nosey and you are looking for subtle ways to find out more about him. At the same time, you are ready to do whatever it takes just to avoid the possibility of an awkward silence between the two of you. You don’t want him to think you are boring but you are head over heels for this guy and you simply get tongue-tied whenever you are around him. Or maybe you have a long-term partner but it seems like you guys told each other literally everything there was to tell already. You feel like both of you are losing your communication skills and that a great deal of your daily conversations have become random small talk. You are aware that a healthy relationship could never exist without healthy communication. You know that one of the ways to build intimacy and to create a strong bond between partners is through honest communication and you know that this is something you and your boyfriend have to work on if you want your relationship to work out. Well, luckily for you, your troubles have come to an end. 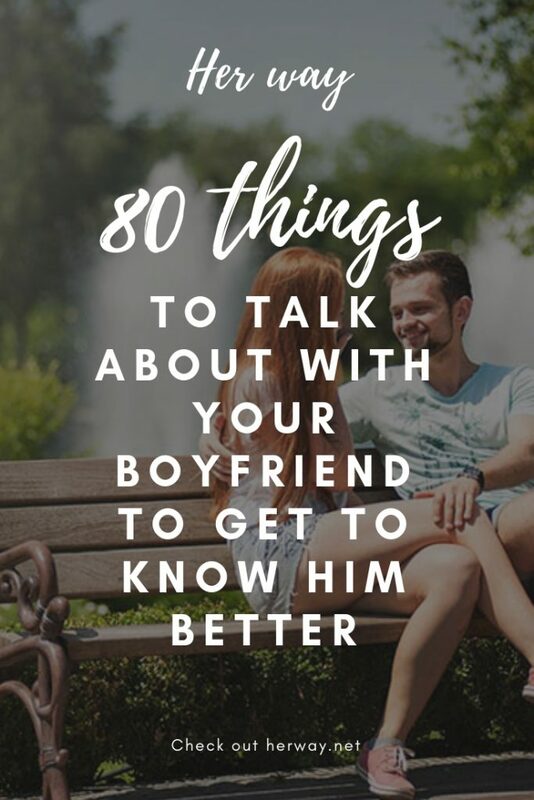 Here you have 80 conversation ideas to talk about with your boyfriend. Each one of these ideas and questions will help you get to know this guy better and it will help you two to become closer. They will help you find out some new things about your partner and they will create a deep connection between the two of you. If you want to start off with some lighter topics, a great conversation starter is definitely a topic regarding your common interests. 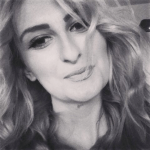 Here you can ask your boyfriend about his favorite leisure activities and about the ways he likes to spend his time. This will help you see whether the two of you are completely different or if you guys share some passions and interests. It can also give you some ideas for spending quality time with this man because here is where he’ll tell you everything about the things he likes and doesn’t like doing. Talking about your interests can be especially useful when you are starting a new relationship, where you guys don’t know much about each other and this is one of the best ways to change that. 1. What is his favorite thing to do in his free time? 2. What was his favorite school subject? Here you have a list of playful topics and fun questions to ask your boyfriend when you are bored and when you want to relax next to each other. But if you are smart enough, even these topics will tell you a lot about your boyfriend. One of the first things you want to talk about with your boyfriend is, without a doubt, your relationship and the love you guys share. This interesting conversation topic will give you insight into your guy’s views on your relationship and it will help you see if his feelings for you are strong enough. And what is even more important is that his answers and comments will help you figure out the ways to improve your relationship, in making both of you even happier next to each other. You may think that most men don’t enjoy talking about love and relationships but it is up to you to make this conversation interesting enough to make him want to partake in it. 1. What was it that attracted you to each other? 3. How long did the two of you think your relationship would last when you just started dating? 4. Why did you fall in love with one another? 10. Are you guys happy with the place your relationship is at now in general and where do you think it is going? 19. Does he believe in love and does he believe it is possible to love one person for your entire life? 20. Does he believe in soulmates, in the fact that we all have someone who is meant to be ours? Another thing which will help you learn a lot about your other half is definitely the topic connected with both of your future goals. Where do you see yourselves in the future? Where do you think this relationship is going? Are the two of you on the same page? Do you have similar long-term goals and plans? Do you want the same things from life? These are all crucial questions every couple has to answer and this is the topic which will help you find out everything you need to know about them. It doesn’t matter if you and your boyfriend are just in the beginnings of your relationship and if it is still early for you to make plans with this guy—it is important for you to know where you stand and if this is the man you can see your future with from the start. On the other hand, if the two of you have been together for a longer period of time and if this is someone you could see yourself growing old with, here you have some issues you definitely should tackle before it becomes too late. 1. Where does he see himself in 10 years’ time? 5. Do the two of you see yourselves spending the rest of your life together? 6. Do the two of you want to have kids and start a family one day? 7. What do both of you think about marriage and what kind of marriage would you like to have? So, you and your boyfriend have talked about your common interests and you broke the ice with some playful topics. You’ve even talked about your relationship and both of your future goals and aspirations in life. Now it’s time for some personal and deep questions which will really help you to get to know each other. These are the topics which will help you explore your boyfriend’s mind and which will you give you an insight into the deepest corners of it. The topics to talk about if you want to get to the bottom of your boyfriend’s personality and see him for who he really is. Sometimes, these topics won’t be easy to talk about. But everything you’ll find out about your boyfriend while talking about these issues is precious and will help you see the bigger picture of him as a person.